It took me a really long time to cough up the money for REN products. I wouldn't consider myself to be a tight person by any means (my husband would agree!) but they're definitely more of a luxury brand to me. I'm all about skincare, all the make up in the world will not cover bad skin. If you treat it well it will create a flawless base for you to start with. 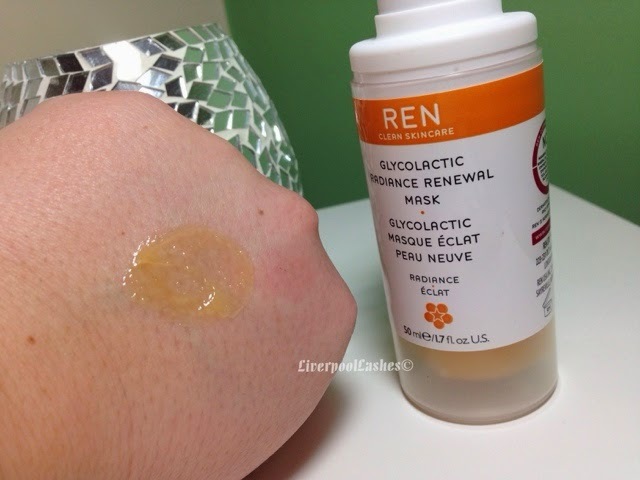 I bought the REN Clean Skincare Glycolactic Radiance Renewal Mask alongside the REN Clean Skincare Resurfacing AHA Concentrate because clearly when I splurge, I really do splurge! I'm funny about face masks. I generally dislike the ones that dry into the skin as I find them horrendous to remove. I end up with them in my hairline and it's a complete mess. I actually thought that this was one of them but was willing to put up with it because I'd heard amazing things about the brand. The moment I pumped out the first amount of the mask, I knew I'd gotten it all wrong and it was almost like a jam consistency that you smooth all over your face. The scent is amazing, this facial treat actually has extracts of passionfruit, grape, pineapple and lemon amongst its ingredients so it's such a fruity fragrance. It's basically like a fruit smoothie over your face. 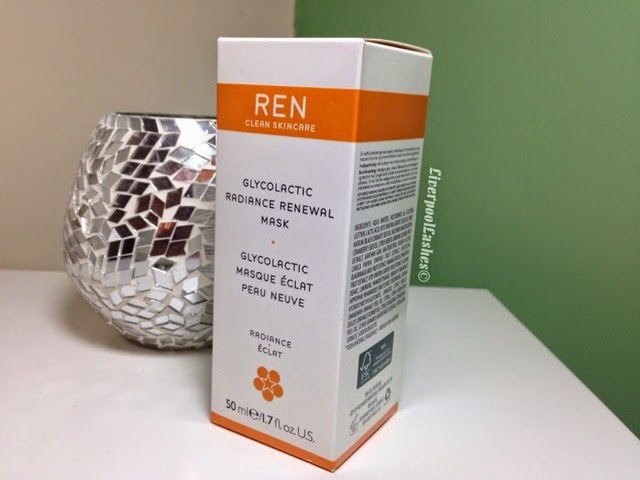 REN Clean Skincare Glycolactic Radiance Renewal Mask is a chemical exfoliator which means that it does not have any of the typical exfoliating properties (such is the crushed shells or beads) so it's literally the formula doing all of the hard work. It's an absolute dream to remove. I apply my water and massage in circular motions which gently dissolves the mask and then splash to remove the rest. Once I've patted my face dry it's left smooth and soft. I adore this mask. I generally use it in conjunction with the REN Clean Skincare Resurfacing AHA Concentrate but I try to limit my skin to using them around once a fortnight only. The reason for this is that I believe you can go over the top with this type of product and it's not good. 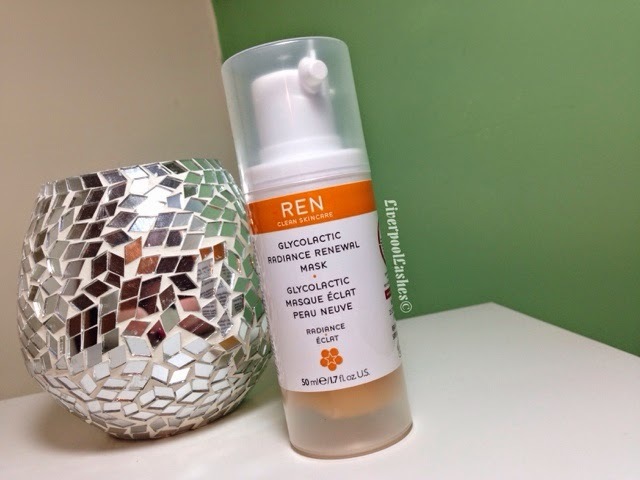 I highly recommend the REN Clean Skincare Glycolactic Radiance Renewal Mask. 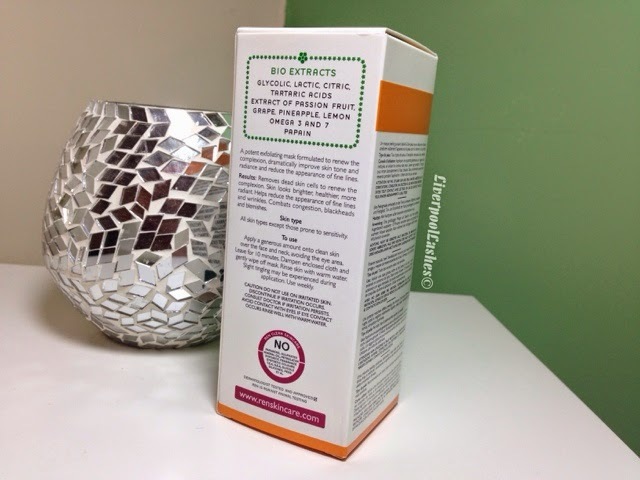 It's a brilliant product and I love the results. You'll definitely get a lot of uses out of the 50ml bottle and it's a brilliant product to give yourself a facial at home. This sounds beautiful, I bet it smells amazing! REN products are pricey but the ones I've tried are definitely worth the investment, I really want to try this mask.